Explanation: What's that dark spot on the Sun? It's the Moon. Last month, on June 21, a total solar eclipse was visible in parts of Africa. In one of the most spectacular records of this eclipse, Cees Bassa captured the setting Sun being eclipsed in a series of multiple exposures from Malambanyama, Zambia. 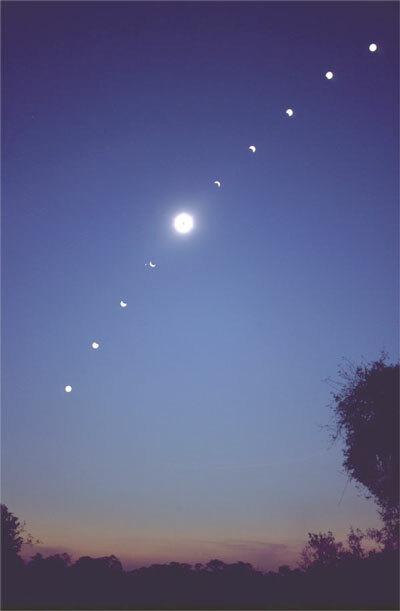 All of the images were taken 20 minutes apart, and all but the central image were taken though a dark solar filter. Without the filter, the central image features the enormous flowing corona that surrounds the Sun. The planet Jupiter can be seen superposed just to the left of the next image after totality.